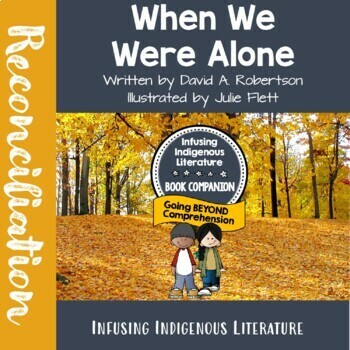 This unit is part of a Julie Flett BUNDLE: Supporting First Nations and Metis Literature in the Primary Classroom - Discovery of SelfWhen We Were Alone, written by David A Robertson and illustrated by Julie Flett, beautifully and delicately introduces the subject of residential schools to young children. 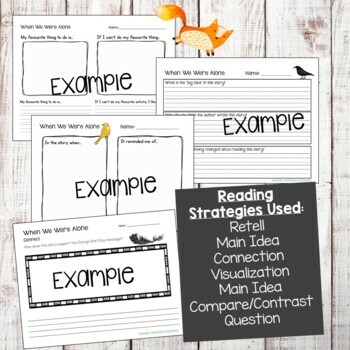 With this unit, students will explore this incredibly rich story with comprehension reading strategies such as visualization, connection, questioning, transitioning and summarizing. 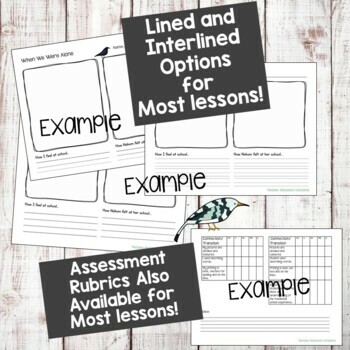 Easy to use reading response pages in blank, interlined and lined versions, have been created for each lesson; as well as student evaluation and teacher assessment rubrics for each page. To obtain a copy of this book and others like it, I recommend checking out Strong Nations, an online bookstore supplying indigenous and Native American books. Not only do they have an extensive selection, they provide themed book bundles for all age ranges.